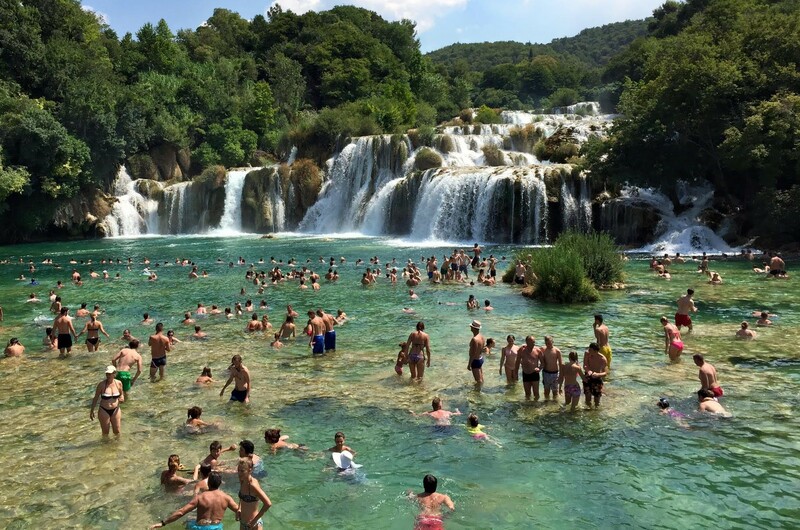 It’s not just the coast of Croatia that’s got it going on – take a look at the beautiful Krka National Park found just two hours south of its capital Zagreb. Like an oasis in the desert, locals and visitors flock to the Krka National Park every summer for a glimpse at the iconic cascading lakes. It’s estimated over a million visitors head to the park a year. Probably because it looks like the greatest place ever. The spot is situated in the mountainous karst area of central Croatia, near the border of Bosnia and Herzegovina. The lakes are famous for their changing colours – depending on the quantity of minerals and organisms in the water, and the angle of the sun – varying from bright blue to green to grey. Entrance fees vary per the season, but can cost up to 180 Kuna ($35AUD). FYI it can get really busy on a hot day, and lines get pretty long, so be prepared to do some sitting, waiting and anticipating while you overlook the beautiful lakes below. Check out Qantas flight to Europe here.